Kolewa is a foundation that is entirely depending on gifts. These are meant for permanent and ongoing projects like the cleft-lip and palate surgeries, the exploitation of our Rumah Bicara shelter, the outreaches to the islands and the family gatherings. Moreover, we have unique and short-term projects like plastic surgery for victims of severe burns, the start of the school project for children with hearing impairments, the pre-surgery dental program. 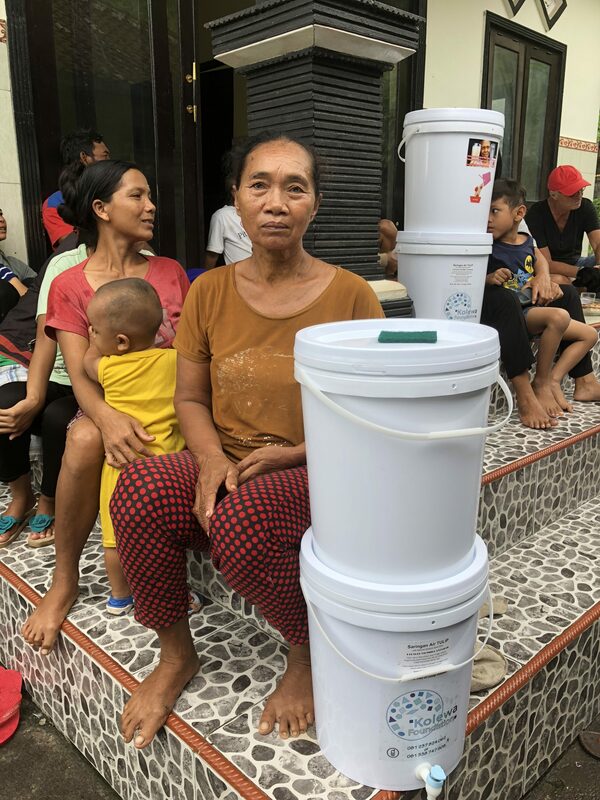 New is our Waterfilter project Our goal for 2019 is to bring over 400 families a simple water filter which gives them access to clean drinking water. Also in Bali, we run a similar program. You can support a family by a donation of 25 euro.